Here is a Halloween craft that even your older kids might get into. 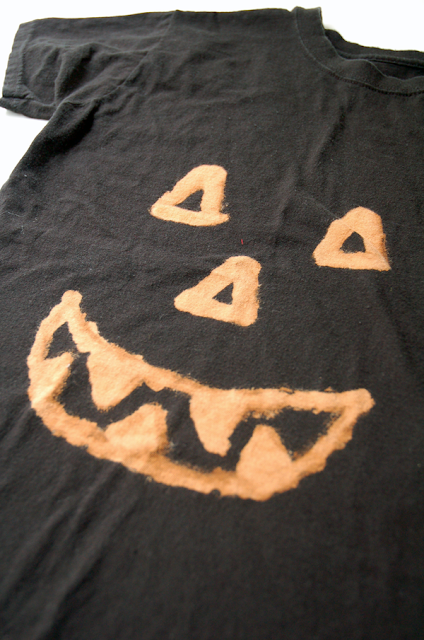 Instead of (on in addition to) carving a pumpkin, why not create a bleached jack-o-lantern Halloween shirt. I bet you would get some pretty fun designs going for Halloween, no carving knives required. You can check out how to make a bleached Halloween shirt over at You Are My Fav.